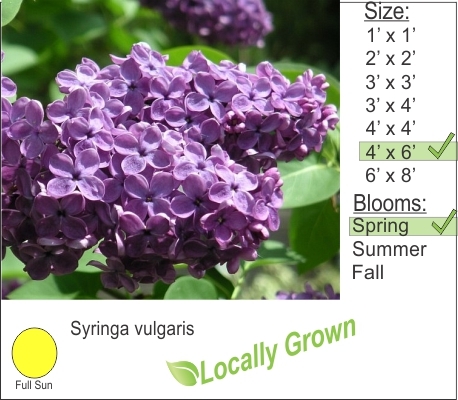 An old time favorite Purple Flowering Common Lilac are a good choice for planting along property lines and creating hedge rows for privacy screening. Big purple flowers fill the air with a sweet fragrance of lilac. Here is a Pro tip of the day: When the lilac gets old and has a lot of die-back and the flowering has slowed down, you can take a chainsaw and cut the shrub branches to the ground in early spring. New growth will generate from the main stem and you will have a brand new plant with fresh flowers for the next season.